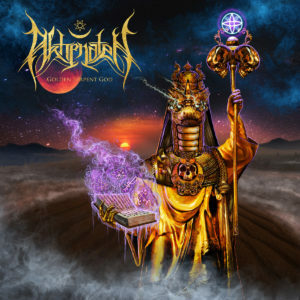 Exploring a variety of extreme metal traits and breaking up the intensities with elements inspired by soundtracks and world music, this 2018 release from Akhenaten is very interesting. It certainly isn’t your run of the mill death metal release. But then, you should expect nothing less than a sense of adventure and a progressive attitude from an album that “explores the forgotten paths of history” and is “steeped in the mythology of Ancient Egypt and Mesopotamia”.